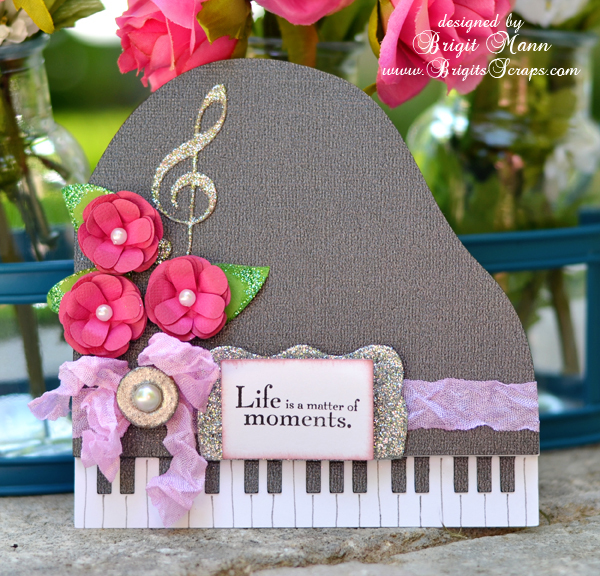 I just had to create a piano shaped card from SVGCuts new kit Thank You For The Music, what a beautiful kit this is. If you haven't check it out yet you're going to love the 3d grand piano it's amazing. Beautiful, very creative. Love it.